ATLANTA – September 3, 2009 – The Cash-for-Clunkers or CARS program brought some of the best sales so far this year for automakers, but also some of the highest average asking prices on new vehicles. As dealer inventories of new cars shrank due to the overwhelming success of the Federally-funded program, average asking prices for new vehicles generally crept up across the board, with only a few models noting slight declines. Some of the largest increases in pricing were registered by Ford, which saw a 16% average price increase on the new F-150 full-size pick-up, and a 13% average price increase on the new Fusion midsize sedan. While Chevrolet Camaro once again topped AutoTrader.com’s most viewed list for August, the bigger success story for General Motors remained the Chevrolet Equinox, which saw views increase almost 290% year over year. This moved the newly-launched Equinox crossover from the 89th most-viewed vehicle in August 2008 and the 18th most-viewed vehicle last month to 7th place this August. More importantly for Chevrolet, the average asking price of the new Equinox increased nearly 6% over the previous version to $27,334.87 – more than $600 more than the average asking price of new Ford Escapes on the site and nearly $2,000 more than that for the Honda CR-V, vehicles which GM has directly targeted with the Equinox. Kia saw the largest increase in popularity on AutoTrader.com among major automotive brands, with views of new Kia models increasing 176% in August compared to August of 2008. This pushed Kia from the No. 20 most-viewed brand on AutoTrader.com in August of 2008 to the No. 8 most-viewed brand in August 2009. Ford and Hyundai, both winners in August’s sales race, also saw views for their brands rise, almost 29% and 27% year over year, respectively. Cash-for-Clunkers drove site activity on AutoTrader.com, with August marking the eighth consecutive month that the site saw its unique monthly visitor count top 15 million. In August, AutoTrader.com attracted a total of 15.5 million unique monthly visitors, a 10% increase in traffic compared to August 2008. Demand for used and CPO light trucks and SUVs continued strong growth in August, with many such vehicles recording double-digit increases in views year-over-year. Ford saw used F-250s up almost 47% in views, while average asking prices rose 7.89% year over year. Similarly, CPO Ford Explorer SUVs rose 45 % in views, and 17% in average asking prices year over year. Fuel efficient used cars saw some average price declines year over year, but those declines were more a function of the high prices these used cars commanded last year at this time due to high gas prices, not a reduction in these cars’ general popularity. For instance, used Honda Civics and used Volkswagen Jettas saw price declines of 12% and 13%, respectively, when compared to August of 2008, while maintaining their popularity on the site. The Honda Civic was the No. 6 most-viewed used car this month, last month and in August of 2008. The Jetta was the No. 19 most-viewed used car this month, the No. 18 most-viewed used car last month and the No. 18 most-viewed used car in August of 2008. Both the new and used car shopping activity on AutoTrader.com seems to indicate a return to more normal auto shopping habits and patters. “Over the past year or so, we’ve seen spikes on our top 20 lists in demand for specific types of cars – fuel sippers, then for specific manufacturers and then for less expensive vehicles,” said Perry. AutoTrader.com, created in 1997 and headquartered in Atlanta, Ga., is the Internet’s leading auto classifieds marketplace and consumer information website. AutoTrader.com aggregates in a single location about 3 million new cars, used cars and certified pre-owned cars from thousands of auto dealers and private owners. The site attracts about 15 million unique monthly visitors. Through innovative merchandising functionality such as multiple photos, videos, detailed descriptions and comprehensive research and compare tools, AutoTrader.com unites new and used car buyers and sellers online to improving the way people research, locate and advertise vehicles. AutoTrader.com is a majority-owned subsidiary of Cox Enterprises. The venture capital firm Kleiner Perkins Caufield & Byers is also an investor. For more information, please visit www.autotrader.com. I live to leverage and I have always done business with my friends because my enemies will never call me!  Leveraged online resources and networked marketing relationships with one central access point for vehicle inventory and information is a necessary evil for individual dealers who can’t possibly cut through the clutter of the Internet Superhighway alone. The CARS program undoubtedly created more problems than it solved – with most of the problems yet to materialize – however building traffic was one of its unchallenged successes. It is understandable that AutoTrader.Com would get the lion share of the online traffic that the program developed; congratulations! Now, if only my dealer clients can get paid by the government for their clunkers maybe we will be able to pay the ATC invoices. You guys won’t mind waiting just a little past the promised 10 days will you? After all, what are friends for! Just noticed that it was an autotrader.com press release, and I was already wondering where the stats and numbers from cars.com, etc are. Looking at my analytics for AutoTrader, I can certainly report double digits closing ratios throughout my stores on incoming AutoTrader inquiries. However I can’t share the success on the incoming new car leads through this medium. Alone Honda had exclusively used car inquiries during the cash for clunker period and not ONE new car inquiry. It is still nice to see that we still closed 25% of this incoming leads. Now (and I agree with Phil 100%) we only need to be patient for the government cutting us the checks. I further hope that AutoTrader won’t use the “sky-rocketing traffic” numbers during the particular CARS period to defend their next price increase.